In this workshop, we will explore yogic precepts (the yamas and niyamas), yoga postures, pranayama (breathing exercises), ayurveda (yogic constitutions), and meditation. We will journal, share, discuss, laugh, and get deep. Prepare to leave with a renewed passion for yoga and for life. This class is not about mastering the handstand. It is about quieting your mind and anxiety, burning through the fog of depression, and building your prana (life force). It is about connecting to your heart and wisdom to be your truest self. As such, it is relevant and appropriate for all students, beginner to advanced. 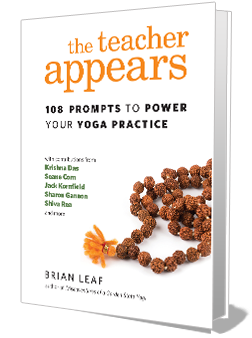 Featuring words of wisdom from such luminaries as Krishna Das, Seane Corn, Jack Kornfield and many others that will inspire you to go deeper in your practice.